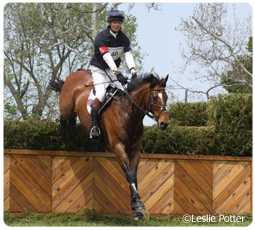 It’s April, and that means that eventing fans in the U.S. are counting down the days until the Rolex Kentucky Three-Day Event. This year marks the 35th anniversary not only of the event, but of its host venue, the Kentucky Horse Park. In 1978, part of the Walnut Hill Standardbred farm was sold to the Commonwealth of Kentucky to become a working horse farm that would be open to the public. The park was intended to draw visitors to the “Horse Capital of the World” at a time when the area’s hallmark Thoroughbred farms were increasingly closing their doors to the public. That same year, the United States had been selected to host the World Championships of three-day eventing. Smaller events had been held on the grounds in the lead-up to the championships, but a competition the size and scope of a World Championship was new territory. The 1978 event drew more than 170,000 spectators and was declared a success for both the venue and for the local economy. After that, the organizers decided to hold an annual spring event at the Horse Park, and it has continued ever since. For years, the Rolex Kentucky included preliminary, intermediate and advanced-level competition. In 1998, the event included for the first time a CCI****, the highest level of competition in three-day eventing. Beginning in 2000, the event became exclusively a CCI**** event, drawing the top horses and riders in the sport from around the globe. 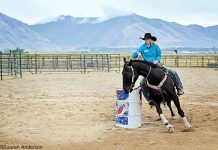 While the Rolex continues on as one of the premier events at the park, the calendar of equestrian competitions has expanded significantly over the past 35 years. After a new stadium and indoor arena were constructed for the 2010 Alltech FEI World Equestrian Games, the park became even more of a desirable location for large events. Among the high-profile horse shows on the calendar for 2013 are the North American Junior and Young Rider Championships, the Alltech National Horse Show, the Region 14 Arabian Championship, the USEF Pony Finals, the USHJA International Hunter Derby Finals, the Paso Fino Grand National, and many others. For more information, including a full schedule of events, visit kyhorsepark.com. That is a long history, with so many wonderful horses, having ran the course.